Chocolate Dipped Marshmallow Reindeer - Made It. Ate It. Loved It. These cute reindeer were simple and fun to make and another addition to the photoshoot from a few weeks back. What you do is melt down chocolate break pretzel in half to create antlers. 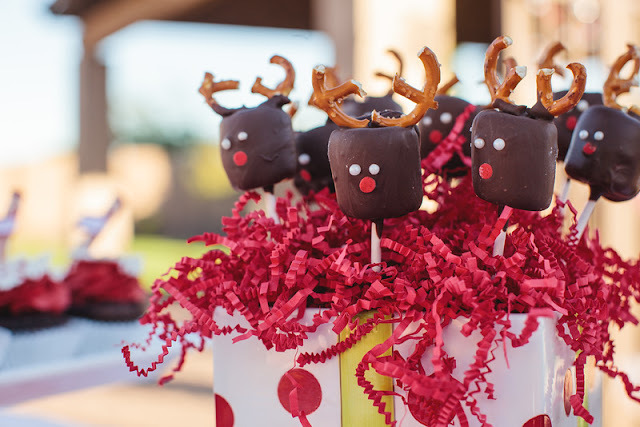 Stick a marshmallow on a stick and dip the marshmallows in chocolate and attach the pretzels. Lay down on parchment paper to dry. Add white sprinkles for the eyes and a red nose! Melt down chocolate break pretzel in half to create antlers. 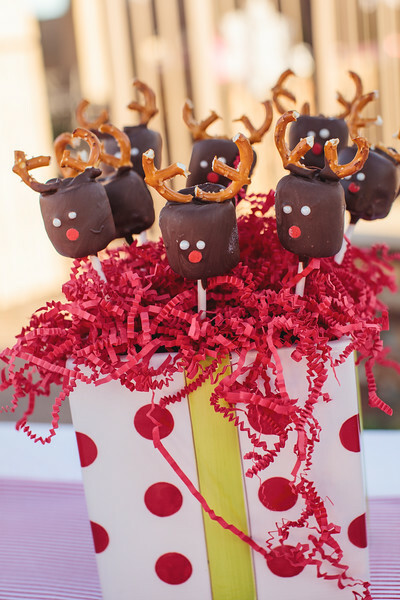 Stick a marshmallow on a stick and dip the marshmallows in chocolate and attach the pretzels. Lay down on parchment paper to dry. Add white sprinkles for the eyes and a red nose!